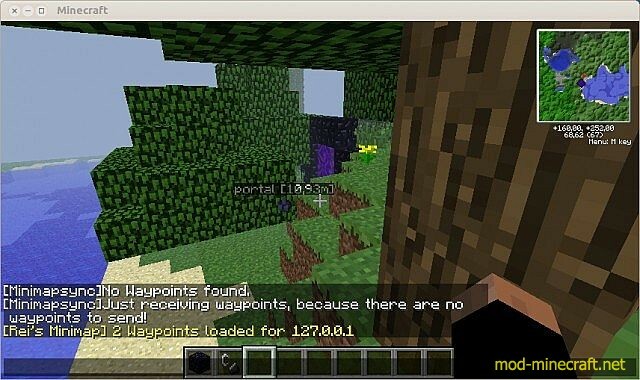 Making waypoints available on multiplayer servers. This mod is not yet finished and also isn’t a very complex mod, however it is a quite useful mod, which I firstly programmed for a friend of mine and myself. 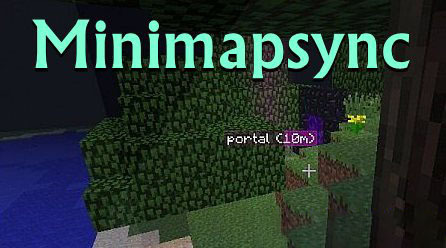 It allows you to synchronize your waypoints created with either Rei’s Minimap or Zan’s Minimap with other players on the server you are playing on. (only works if the mod is installed on the server) It also allows you to teleport to your waypoints, which is nothing new for Zan’s Minimap, but for Rei’s it is. This mod post contains no screenshots or videos, because there is not much to see, the mod just works in the background with only a few messages displayed to the user. Install MinecraftForge according to the instructions given by the authors of MinecraftForge. Run minecraft once without mods. Open up your ?.minecraft? folder an place the ?Minimapsync.jar? file in your mods folder. Start minecraft and start using this little mod. Install MinecraftForge according to the instructions given by the authors of MinecraftForge on your server. Run your server once without mods. Start the server and start synchronizing waypoints with it by playing on it with your modded client. This mod can be installed on your server without all players having installed this mod, so you can download and install it as server host and tell your users about it, however they do not have to install it to be able to join your server, it’s just an additional feature to your server, which users can use.